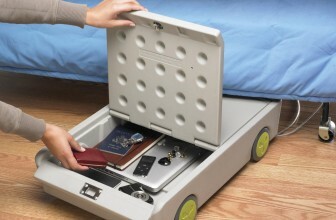 Keep your valuables safe with this portable under the bed safe which includes a lock and chain so you can latch it on to your bed frame. Add an extra layer of cozy comfort and superior softness to the bed with this Basics overfilled, ultra-soft microplush mattress pad. 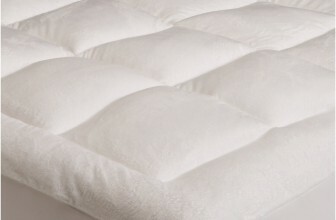 The overall effect: a soft, durable pad that stays securely in place on the mattress. While sitting, laying or sleeping in your dorm bed the last thing you'll want to do is jump out of bed for a tissue, the remote or any other small item. 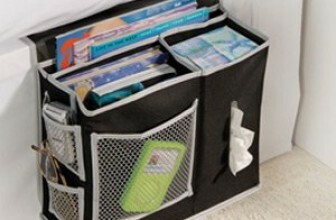 Our Bedside Storage Caddy (Black) does it right! This bedside organizer hangs over your bed and holds just about everything you need within arm's reach.